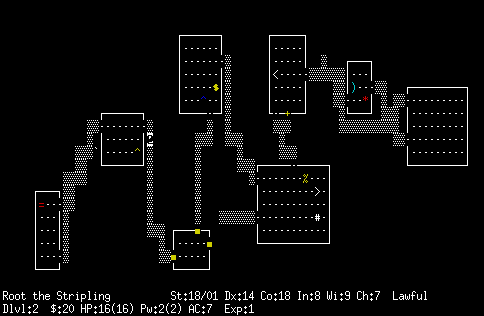 I’ve played a few roguelikes on and off (mostly off) for the past ten years or so, starting with the venerable Nethack. 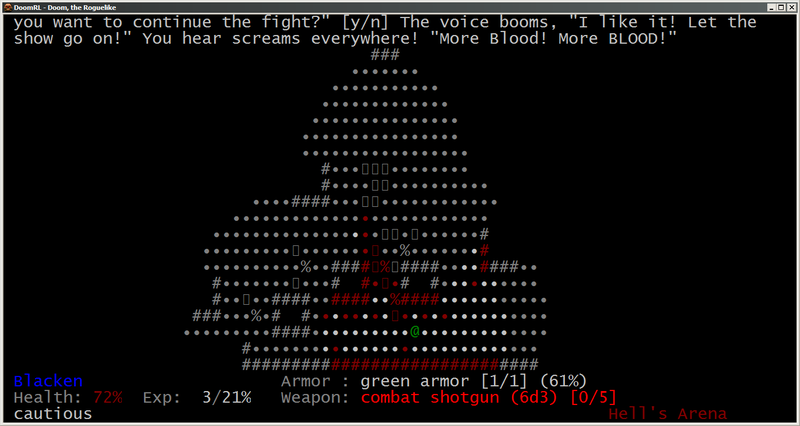 I would play Nethack for a week at a time, building new characters, delving deeper within the Mazes of Menace, until I hit a kind of ‘research wall.’ I always became disillusioned by the need to access information outside the game and build arbitrary ‘ascension kits’ to succeed at a reasonable pace, instead of simply discovering winning strategies over time. 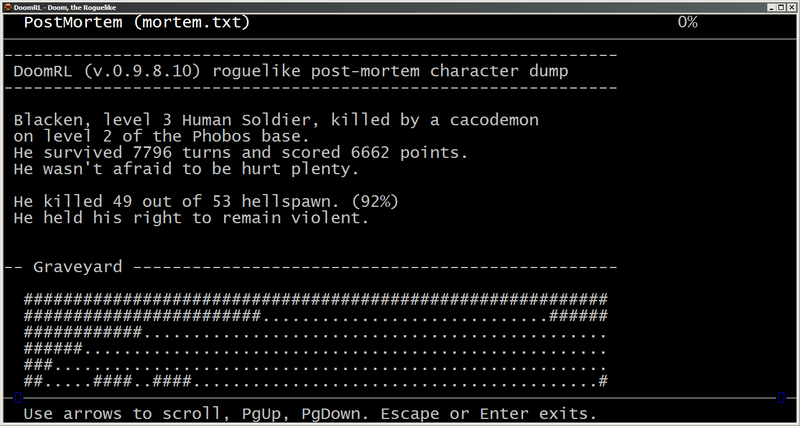 I think I’ve put Nethack down for good, but that doesn’t mean I have to go on without the more compelling features of a good roguelike. 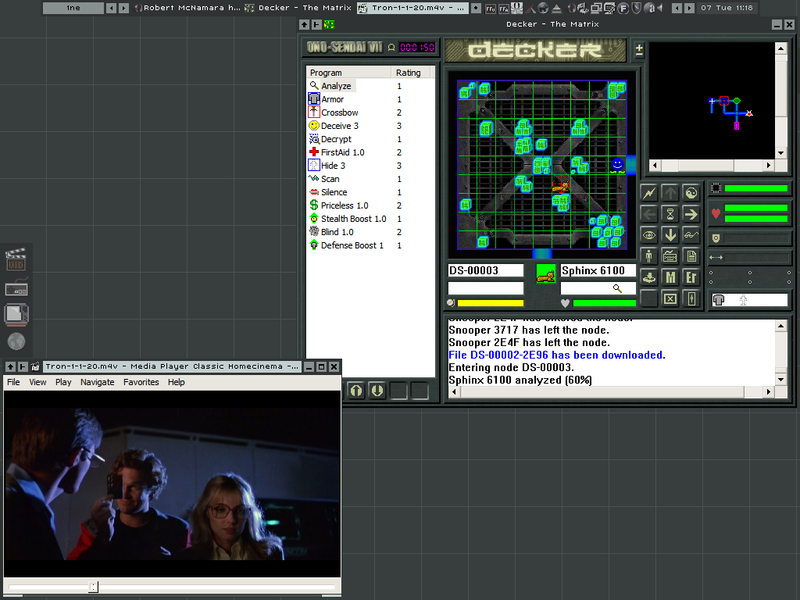 Luckily, there are quite a few rogue-inspired games around that cater more to casual play, and Decker is one of them. 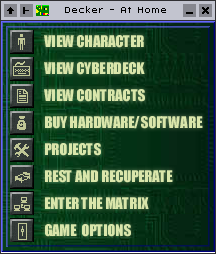 Taking place in a William Gibson-like cyberpunk world, you ‘punch deck’ to travel through cyberspace and commit cybercrime, all in the name of cyberprofit. 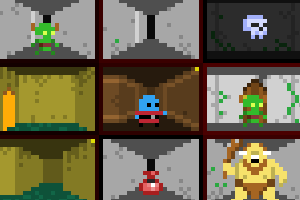 Like many roguelikes, Decker has a bit of a learning curve, though it isn’t as complex as many of them. It is, however, worth more than an initial screenshot might indicate. Here, we're breaking into Chevron's mainframe to shut down some security alarms, and steal some valuable files for our own purposes. 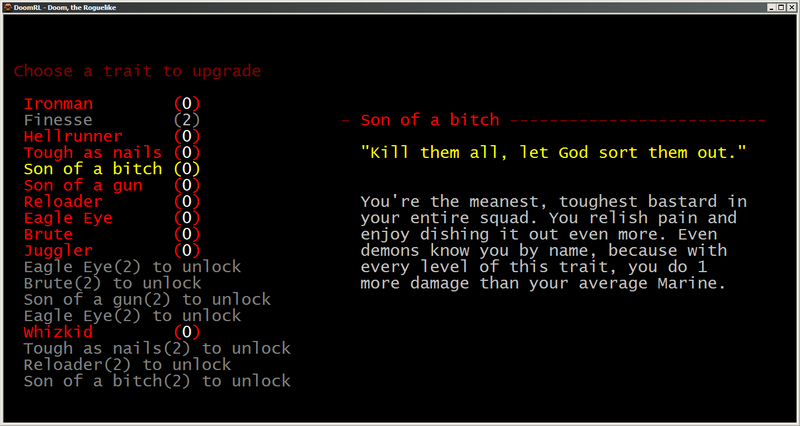 The current standard in dungeon hacking, Nethack. 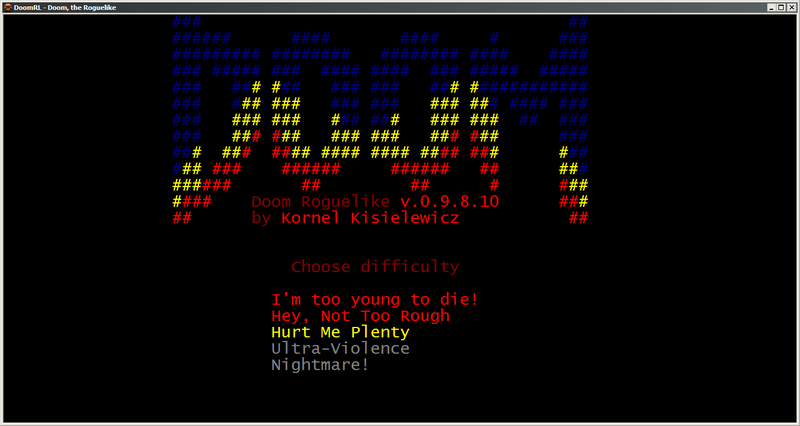 The graphics are rendered using ASCII characters. They’re often concerned mainly with combat, killing enemies, gathering experience points and items, upgrading your warrior, and moving on toward your ultimate goal, usually a McGuffin of some sort. They’re difficult, often coupled with ‘permenant death,’ such that once you die, you cannot restore from a previous save. The combat is usually turn-based, in that you can ponder your strategy as long as you like before striking. The ‘dungeons’ are randomly generated, resulting in a new play experience each time. Though not a roguelike itself, classic action clicker Diablo borrowed a lot of the above traits to become one of the most popular PC games of all time. 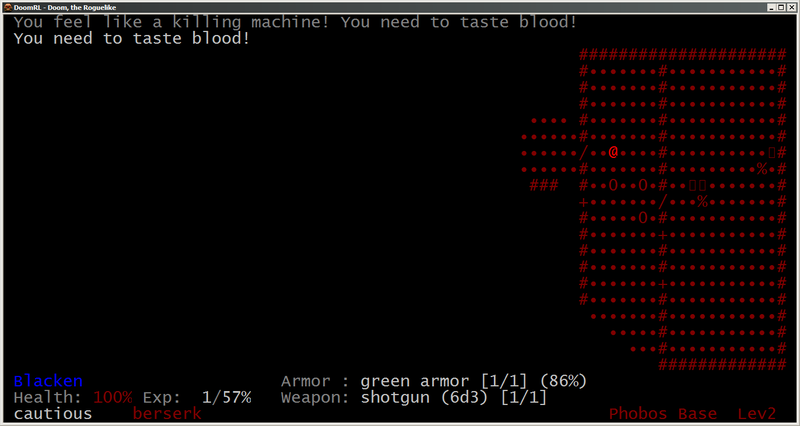 It’s kind of a real-time roguelike, though some of the nerdier roguelike players look upon its relative simplicity with a certain disdain. 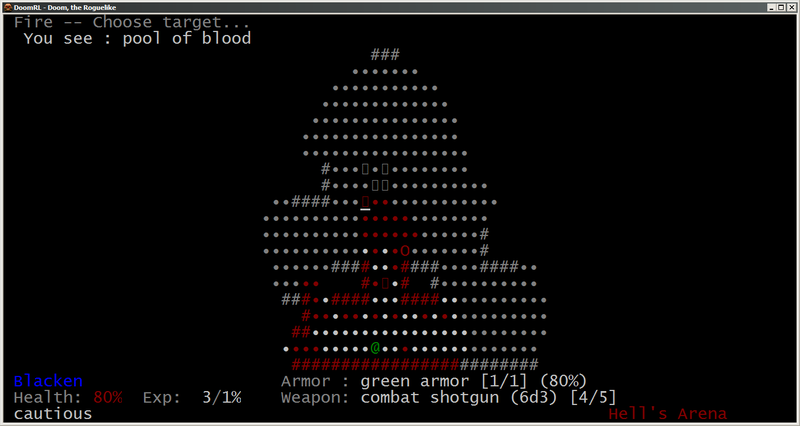 Many roguelikes take place in fantasy dungeons, with rocky cave walls, magical attacks, and fantastic creatures. 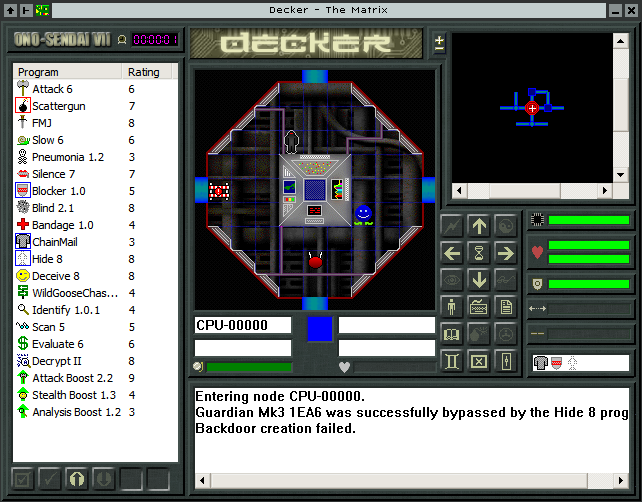 In Decker, you hack computer systems instead of dungeons, and launch software attacks instead of magic. Your enemies are varieties of ICE, or Intrusion Countermeasures Electronics, in place of orcs and goblins. Previously mentioned Spelunky has updated to version .99. 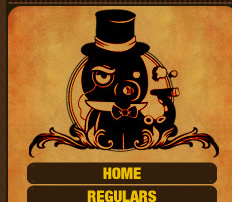 Improvements include bugfixes, a new secret or two, and my personal favorites, some interface enhancements. 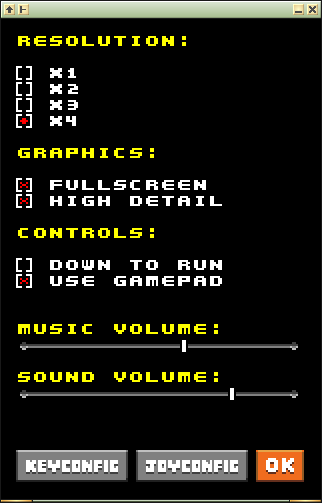 Joypads work properly now, a 4x resolution muliplier for higher resolutions to retain crisp pixelly graphics, and adjustable sound. I no longer have to change resolution, run Joy2Key, and drop my sound down to 1% to play.